Focus groups and online discussion board to test campaign creative. 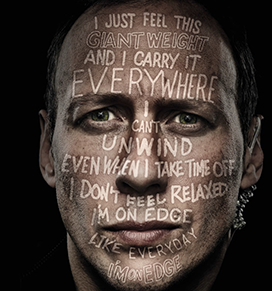 First responders felt strongly that a poster campaign will not change the culture; it can only be used to support other activities being undertaken to address stigma. A campaign can serve as an umbrella that links together resources, learning opportunities, and information. It is a supporting tool to drive people to resources, events, and activities first responder organizations are making available. The posters were designed with a white space included in the bottom. This white space is for first responder organizations to place information on new resources and upcoming events or activities. Posters should not be used if that space is left blank. Furthermore, posters should generally only be placed for up to 3 weeks. For further information, please contact the BC First Responders Mental Health Committee at info@bcfirstrespondersmentalhealth.com.